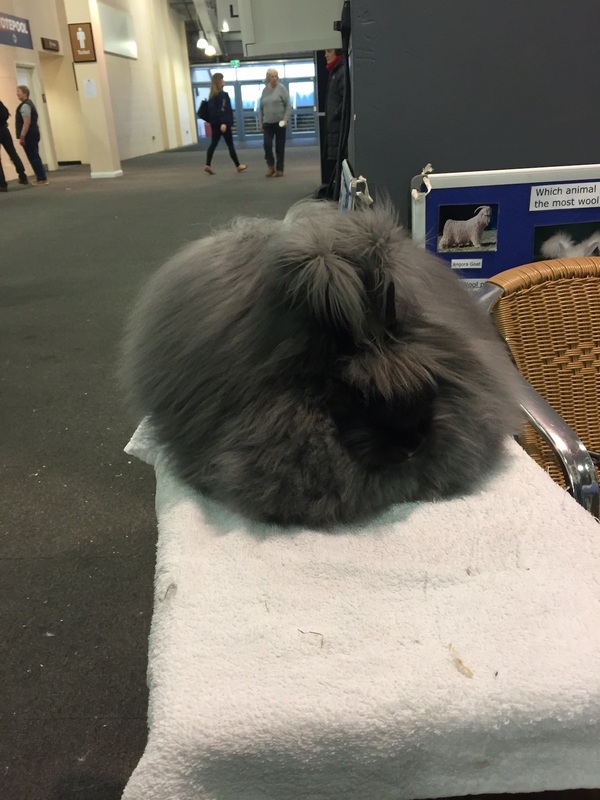 One of the first difficulties encountered by the beginner who has bred their first litter and reared it to weaning age, is the choice of the best to groom on for exhibition. Almost all beginners choose the one with the most attractive head or the best ear-furnishing. However, there is much more to consider in selecting a potential winner. Assuming the beginner has obeyed the generally accepted rule of reducing the litter at birth to two, or at the most three, at eight weeks old a white baby should be 21/2lbs. Anything below these weights will not have had sufficient body nourishment from the mothers milk to enable it to put most of the benefits from future feeding to the growth of coat. 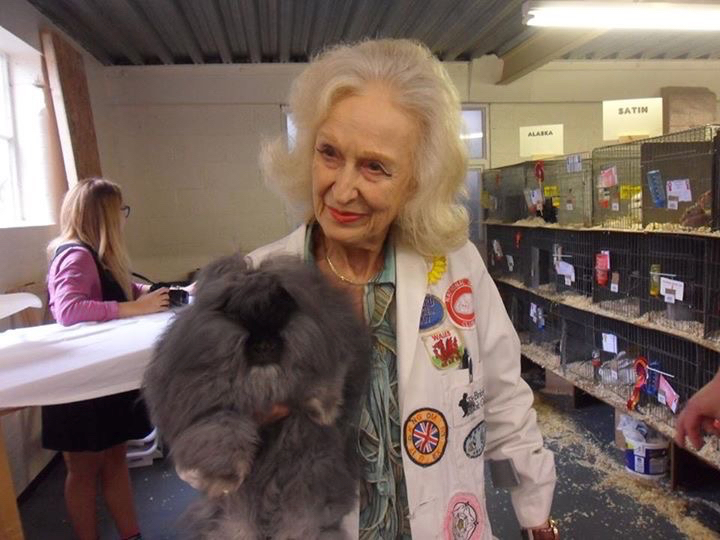 Reduction of litters does not influence the eventual size of a mature Angora at 15-18 months old, but it does provide a well-nourished baby with the stamina to face up to the strain of exhibiting, and, I am convinced, does influence the wool growth and quality throughout its life. 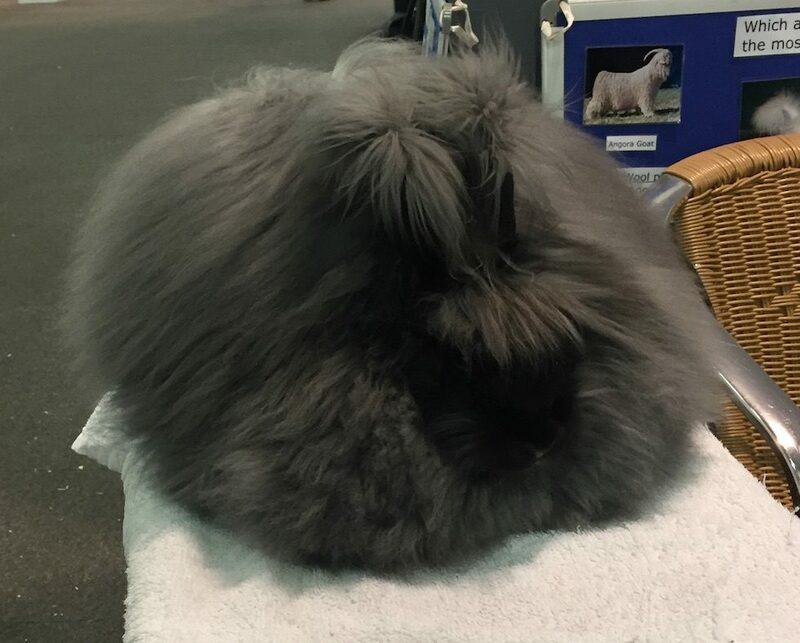 Having decide that the weight is sufficient, study the standard for the breed and it will be found that the majority of points are allocated to the coat; thirty for quality, and 25 for quantity. At this age my preference if for the one with about ¾ “ of guard hairs or more, and the actual wool showing a very distinct sheen, like satin when stretched over a finger. I also look for a coat that falls naturally into locks when un-groomed. This type can be regarded as a probable ‘laster’ which will not be too difficult to keep groomed over a long period . A beginner may consider that the coat feels harsh at this stage, but it must be remembered that the length of guard hair will not increase with age, and with the eventual proportion of, say, 6” of wool to 1” of guard hair, the feel will be totally different. You will find that a baby can have a very long coat that is not very dense at this age, or, a very dense bur shorter coat. The long coated ones make the best adults, but until about 41/2 months do not develop sufficient density to win. 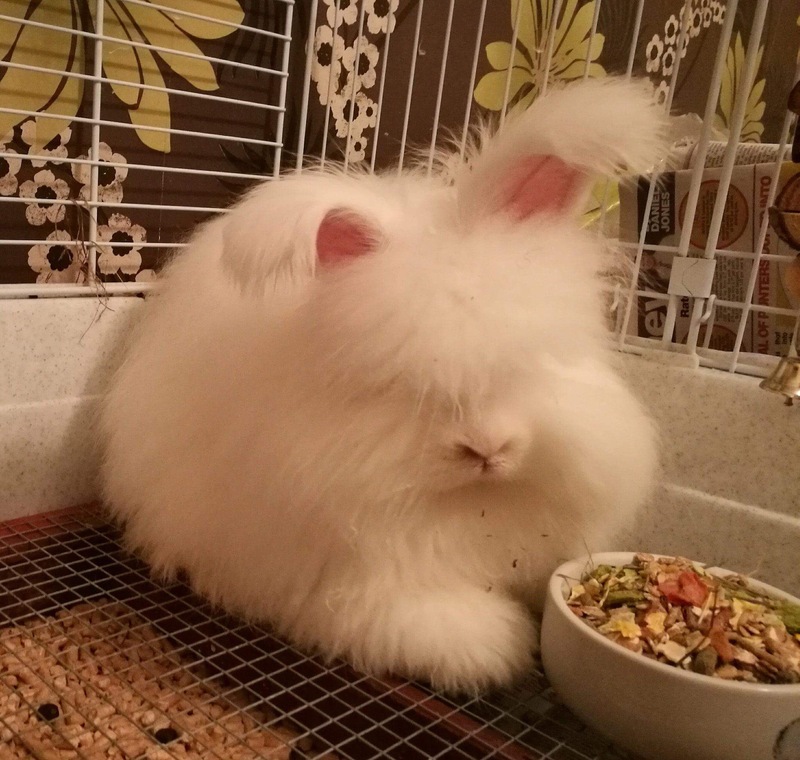 As a beginner, you have to consider that until you are well experienced you will not have the skill to groom and present a rabbit in perfect condition beyond the age of five months. 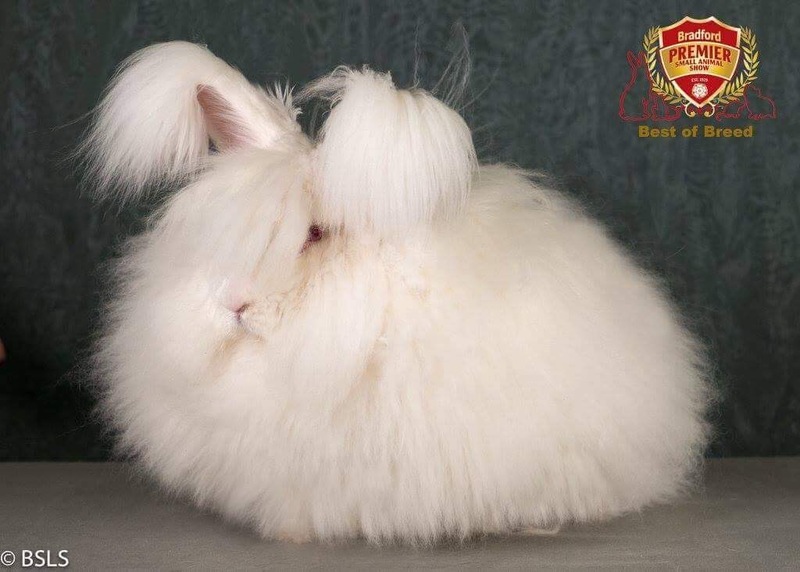 The denser rabbit will therefore be the most suitable for showing in the young classes, but it is advisable to try your hand at grooming the other type so that you get the idea of grooming to the adult stage. 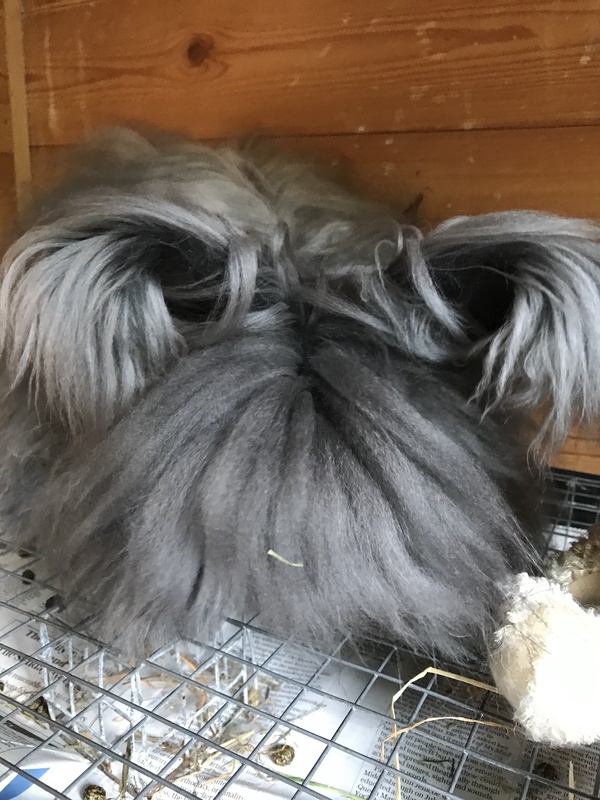 You will find very few of the dense babies will be groomable when the difficult stage between five and six months is reached. If you aspire to Championships you will realise that most of the wins have to be in the adult stage, so the experience will be useful. Next, I consider TYPE as important. The ideal baby should have a highly arched back, rising from behind the head, so essential for the basis of the ‘snowball’ appearance mentioned in the standard. 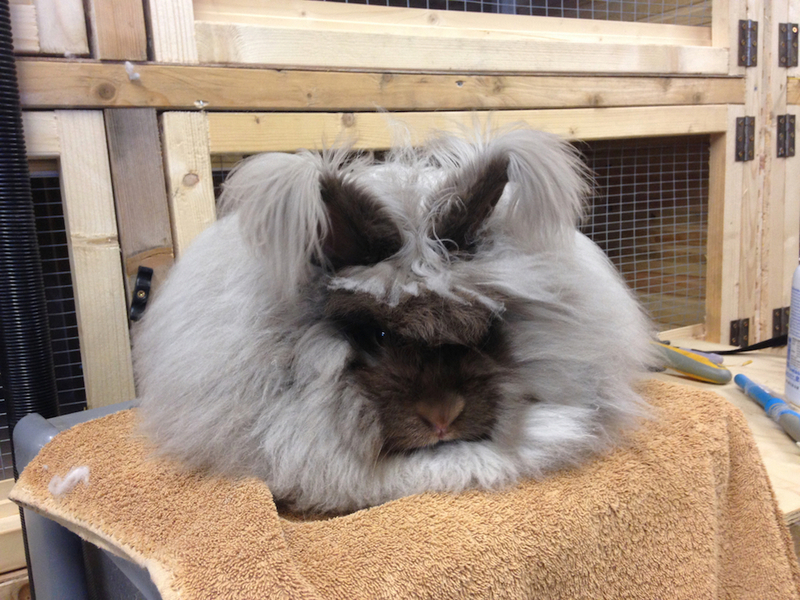 At this age, the rabbit will have been born with a good front and shoulders, points which only its owner can spoil! Blow into the coat at the base of the shoulder and just around the tail. 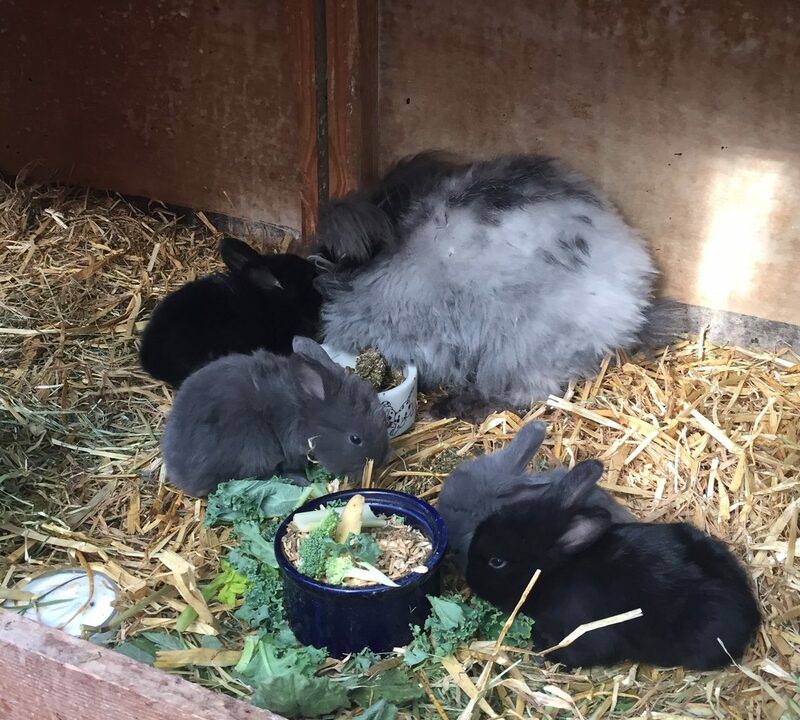 If matted at these points at weaning age, the rabbit will be quite useless for exhibition, so do not waste time on grooming it. I do forgive a little webbing behind the ears as this is quite often done by the doe is her zeal for cleaning the babies, and with great care, the wool can be separated without damage, and gives little trouble once the baby has been weaned. 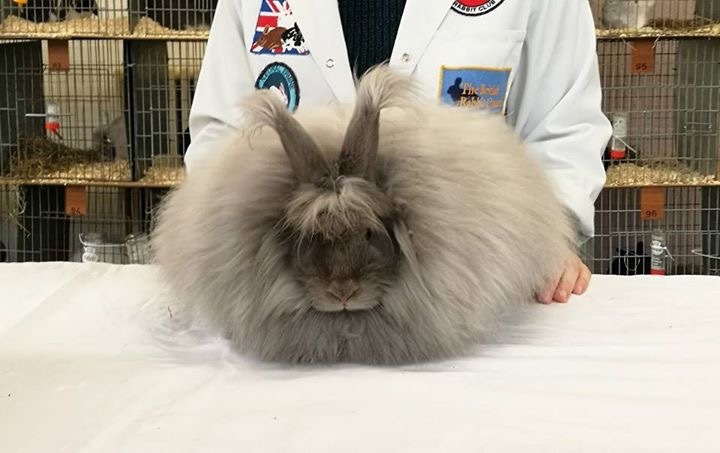 The wool on the underside of the rabbit should be profuse. It will never attain the length of the wool on the back, but the should be no demarcation line between the tummy wool and the sides of the coat, gradually merging into each other. Usually, the length of ear-furnishings go hand in hand with coat length, the denser babies having shorter ear tufts. 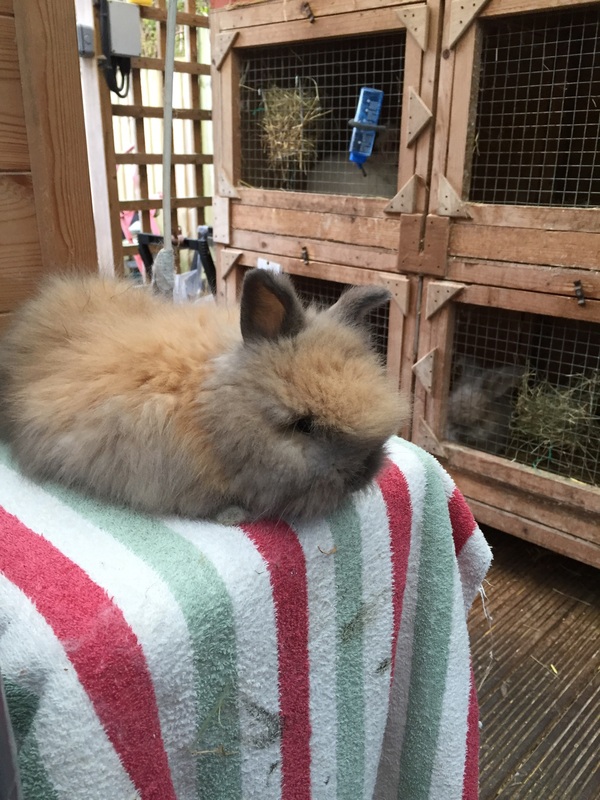 Ears should be short, but in very hot weather growth is somewhat stimulated, so keep young rabbits in the cooler bottom hutches. A profuse crest is a finishing touch and cannot really command many points with only ten points for the head and ears, furnishings included. While the ideal head is broad, does cannot be expected to carry quite the width of bucks. Feet furnishings at this stage should be well in evidence, both on front and back feet. If not present at eight weeks such furnishings are not likely to develop with age. 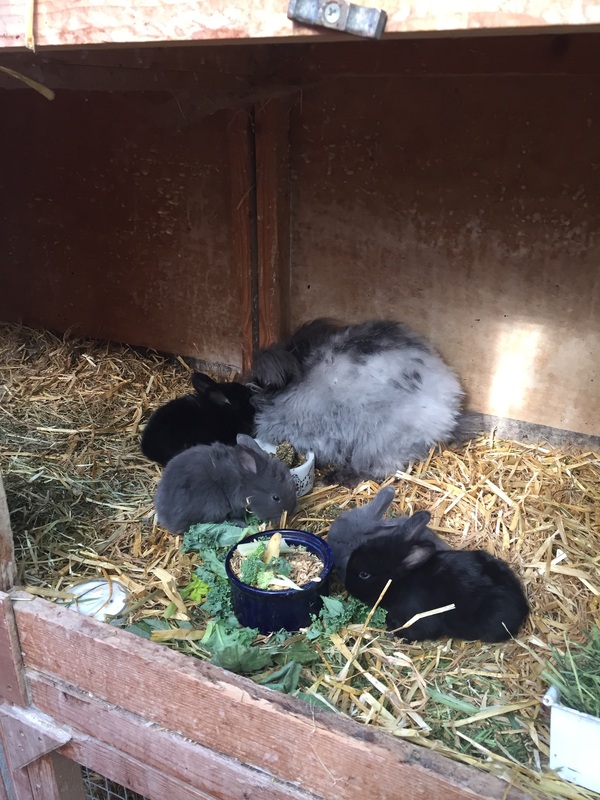 To sum up: at eight weeks you have a of what the rabbit will be as a mature adult. If you are breeding coloureds, allowance must be made for the ten points allocated for colour, with a deduction of five points each from quality and quantity of coat. The aim should be for the colour to be carried down as near as possible to the skin, with the appropriate shade of undercoat as laid down in the standard. If you are purchasing a baby, note that an advertisement offering show-coated babies does not necessarily mean they are also up to show standard; it merely means the babies have not been clipped. You now know the essential points to look for. For those beginners who are breeding coloureds, may I appeal to them to restrict breeding to that particular colour and not interbreed with others, just to see what happens. It is tragic to see all the work that enthusiasts have put into the Coloureds destroyed. 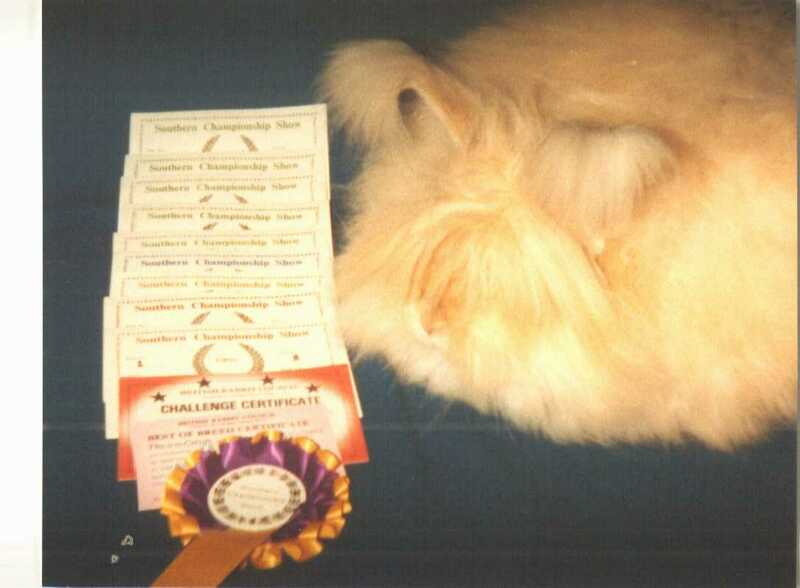 Any experienced breeder will tell you what happens with mixed breeding. We had to interbreed them in the past to obtain todays quality, but we were very careful not to keep any by-products so they could not be circulated around the fancy to spoil future generations with colour faults etc. Smokes and Blues, as in any other breed are always accepted together, but the use of white with any other colour should be avoided, expect occasionally with the Agouti colours, and then only rarely. 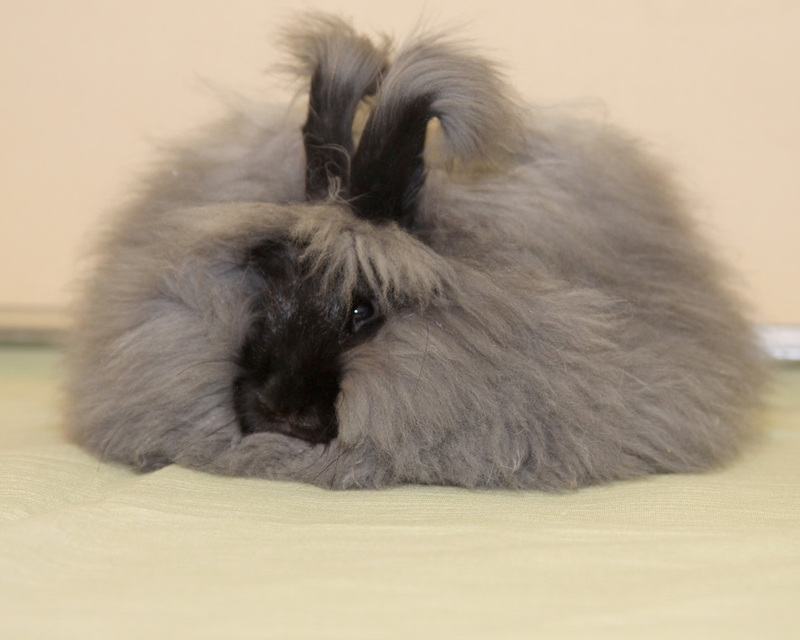 From Time to time we all experience coat damage which we cannot blame on to our own grooming. Once you have fed your stock, take a chair and sit down for a few minutes in your rabbitry and watch your stock. Watch how your baby turns in its hutch. 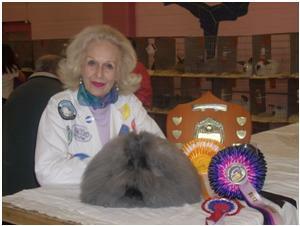 Does its coat catch the corner of the hay rack, or perhaps sweep across the top of a water pot that ou have overfilled? A wet coat is a spoiled coat as users of those drinking bottles soon find: just a little repositioning will make a lot of difference. The mesh of your hayracks should be at least 3/4” (20cm) to prevent nose damage. Some rabbits insist on removing their hay from the rack but if the hay is pulled through at the side, the hay is held firm. Also shake your hay before feeding as most of it contains loose seeds which soon work into a coat and cause trouble. Posted 12/02/2018 by SM & filed under Rabbit Shows.